Do you wish to offer a memorable hockey insignia to your customers? 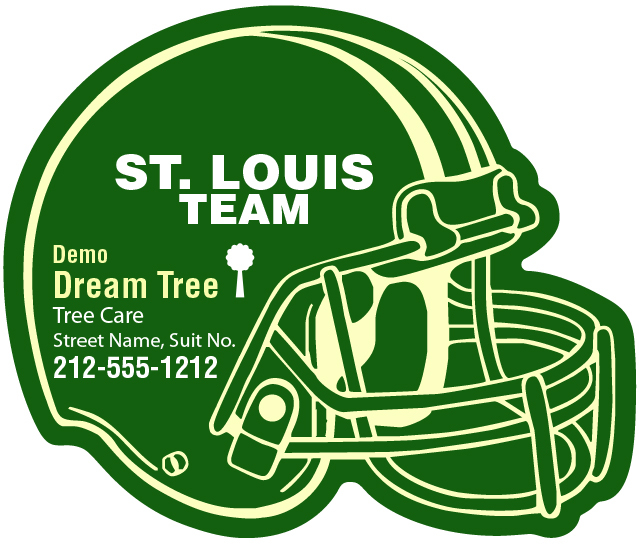 Look no further than this promotional 4.25 x 3.5 inch one team St Louis Team hockey right facing helmet shape tree care magnet – 20 MIL. This magnet easily makes you popular with its helmet shape and highlights your efforts to stir team consciousness in favor of St Louis Team. It can be availed for gifting during tradeshows and other promotional events, where huge turnouts are expected. This magnet makes a perfect gifting choice for marketers who have been trying hard to promote their green friendly business. It is perfect for plant nursery, botanical gardens and many more. 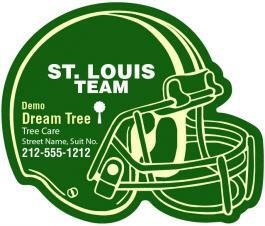 Request a quote to know price benefits for wholesale customized 4.25 x 3.5 inch one team St Louis Team hockey right facing helmet shape tree care magnet – 20 MIL. Product Size : 4.25 in. x 3.5 in.